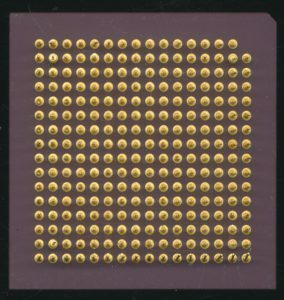 During the development of most any given processor many chips are produced before it is released for commercial use. These pre-production chips serve a wide variety of purposes in the design and debugging of the processor to ensure that the final CPU work well, sells well, and is compatible with all the vendors parts (motherboards, cooling solutions, power supplies, etc). 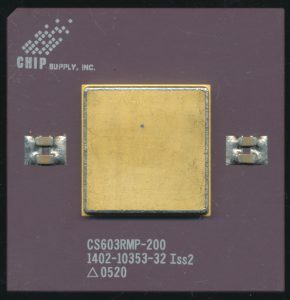 These chips are generally referred to as samples, and there is several types of them. We’ll use Intel/AMD as the main examples but most all processor companies work in similar ways. 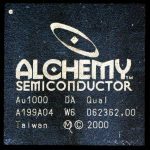 When a processor design is first being developed, the package for it is also often being developed as well, what will the new processors silicon die reside in? How many pins? How will it dissipate heat? This type of testing is often handled with Mechanical Samples. Mechanical Samples are exactly as they sound, they test the mechanical aspects of the processor, the physical fit of it. THese are often sent to board/socket manufacturers to ensure the processor will fit in sockets/boards, and with the automated equipment used to build systems. Cooling solution companies may also receive these to test how a heatsink fits on the CPU. Mechanical samples may not contain a die at all, or may be chips that were tested as bad, or simply just untested chips (Intel used a lot of untested Mechanical Samples in their educational kits). The next samples typically made are Electrical/Thermal Samples. These again do not have an actually processor die in them, but electrically do work. 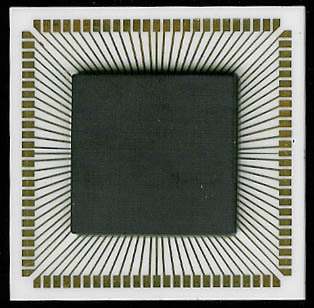 Electrical/Thermal samples are used to test the power draw and heat dissipation of a processor. They often use a daisy chain transistor design, which serves to draw/dissipate power. If a processor is expected to dissipate 135W of heat, a Thermal sample can be made to draw/dissipate exactly that. These can test the the power supplies on motherboards, as well as the heat dissipation abilities of cooling solutions. Some Thermal Samples have a temperature sensor added directly to the package to help see what temps they achieve. Electrical Samples and Thermal Samples could also be used as purely Mechanical Samples too, and this is sometimes seen marked on the sample. Engineering Samples are often called ‘ES2.’ These processors are getting closer to final production and are a lot less buggy, these would be considered ‘Beta’ Samples. Most of the time these are quite usable chips, and often are very similar in clock speed/features to a production processor. 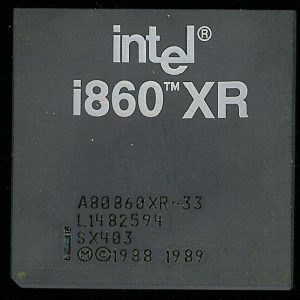 Intel denoted these chips with a Q-spec (such as QBGC) rather then production processor having an S-spec (such as SL5G8). AMD typically uses part numbers starting with ‘1’ for ES1 CPUs and ‘2’ for ES2 CPUs. (such as Opterons 1S160805L4BGC or 2S16….). Other companies have similar methodologies. 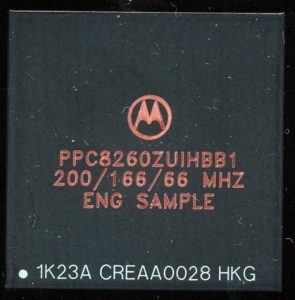 Motorola (Freescale) used the PPC prefix for most ES CPUs and Texas Instruments uses ‘TMP’ (not to be confused with Toshiba who also uses the TMP pre-fix, but for processors in general). Once a company is fairly confident a design is ready for release one final version is made. the thousands to vendors, system builders/integrations, and even the media outlets for review. The hope is that nothing major wrong is found with them, and that any bugs that are found can be dealt with in software or firmware, not requiring an entire silicon fix. Intel continues to use Q-specs for these as well, leading to some confusion with the previously mentioned ES CPU’s. AMD usually uses part numbers beginning with ‘Z’ for QS CPU’s and like Intel, does not offer these CPU’s for sale to the general public, they are either given to vendors, or sold exclusively to them for testing. Motorola uses XC, or XPC for these, and unlike AMD/Intel, mass produces these and sells them, often for years, before they decide that a part/design is truly fully qualified/characterized (in which case the prefixe is changed to MC. or MPC). Texas Instruments uses the ‘TMX” prefix for their Qual. Samples. and tended to make/sell them like Motorola did with theirs, changing the prefix to TMS for fully qualified production parts. The original Motorola MC6801 was released in 1977, built on a 5.1u NMOS process with 35,000 transistors (some sources say 25,000, which may be the ‘active’ transistor sites). One of the very first customers was General Motors, you can read more about that in last years article on the 6801. Hitachi was the primary second source for Motorola, primarily to supply the Japanese market, but they also competed with Motorola in the US market as well. Hitachi released their version of the 6801 in 1980, with full production commencing in 1981. 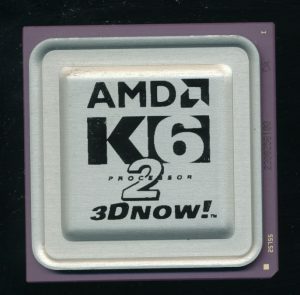 It was made on a 3-micron NMOS process and was available in both a 1MHz speed (HD6801S0) and 1.25MHz (HD6801S5). Around this time (1982) Hitachi was also transitioning their part numbering system. Originally these parts were HD468xx… which was a bit confusing so they dropped the ‘4’. For several years in the early 1980’s it is not uncommon to find parts with either, or both part numbers on them. The pictured Hitachi HD6801S0P in interesting for a couple reasons. The A00 denoted the ROM code for the 2K of onboard ROM. A00 means that it is unprogrammed. This would be useful for testing the 6801 with an external EPROM etc. The ‘J’ on the package denotes that this device is a industrial/automotive spec part with an increased temperature range, in this case -40-85C. Hitachi date codes are different from other manufacturers but are relatively simple. The code 2E1 denotes the first week (1) of May (E) in 1982 (2). 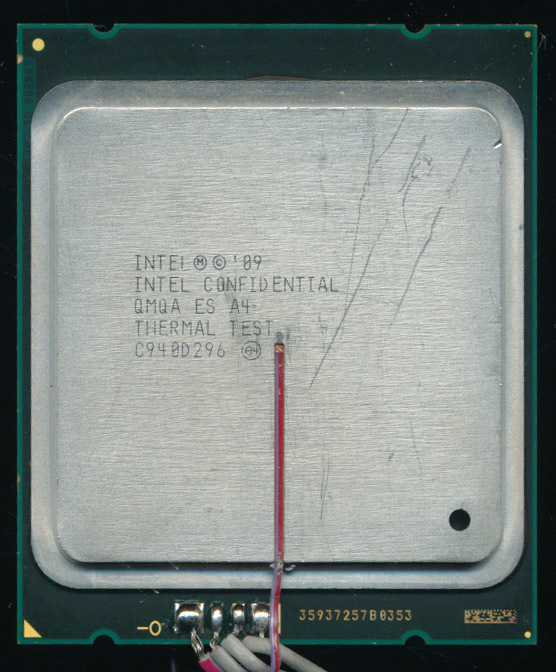 What is perhaps more interesting is what came with this CPU when the museum got it. 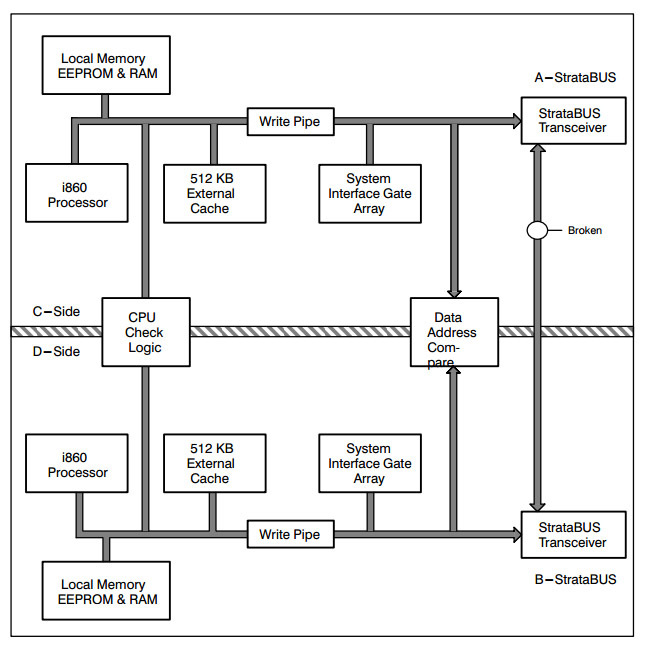 Its often hard to figure out what a CPU/MCU was used in, or what it was for, its provenance. This 6801 offers some help. It came in an original Hitachi box, with a copy of a fax from Hitachi in Japan to the Hitachi sales office in the USA. The fax denotes that these are qualification samples, automotive spec, and for a particular customer. That customer is Chrysler (the automotive company now owned by Fiat). Also included on the fax is an original Japanese date stamp (June 1982 (Showa year 57)) . These 6801s were fresh off the production line, having been made only a few weeks earlier. The fax states these are for Chrysler in Huntsville, AL. with a reminder that they are “Not for Detroit” (where most of Chrysler production was. That is an interesting addition, and important, as Chrysler did (it closed in 2011) have a very large presence in Huntsville, AL. Huntsville is known as Rocket City, home of the Redstone Arsenal, where a large amount of US rocket, missile, and space engineering have taken place. It was also the home of Chrysler Electronics (as well as most all of Chrysler’s military and space programs. It was Chrysler who built the Saturn 1 and Saturn 1B upper stages for the NASA Apollo program. Chrysler Electronics also built much of the Grown system electronics for the Apollo program as well as vehicle testing equipment for the M1 tank, the M2/3 Bradley and a host of other military programs. 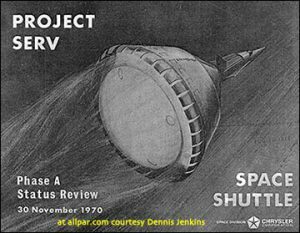 Chrysler also proposed the Single-stage Earth-orbital Reusable Vehicle (SERV) during the design phase of what became the Shuttle program. 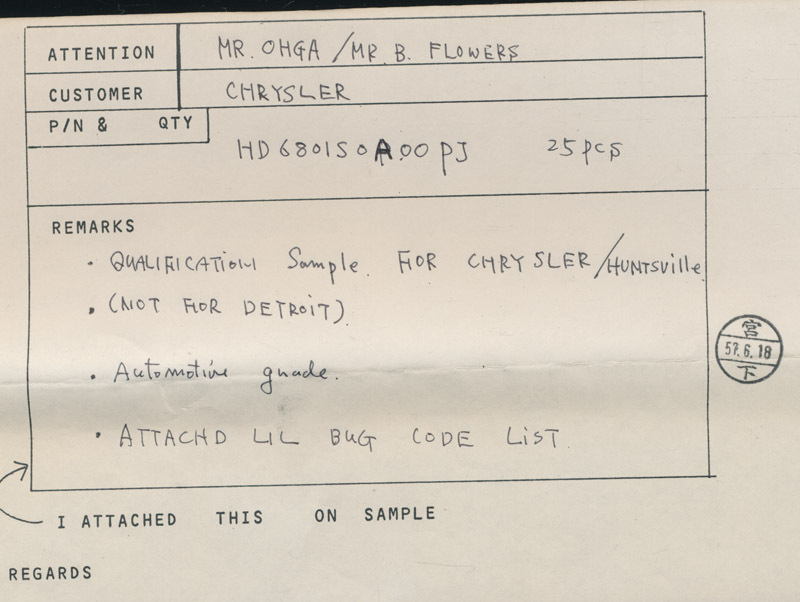 In the early 1970’s electronic use in cars was growing rapidly, leading Chrysler to greatly expand their presence in Huntsville. 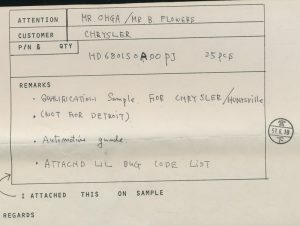 These 6801s were likely for testing for cars, though it is unclear if Chrysler actually used the 6801 in their vehicles as ECUs from the mid-80’s all seem to be running the 6803 and 6805 MCUs. Maybe if I find an early 80’s Chrysler I’ll tear out the ECU and find out. 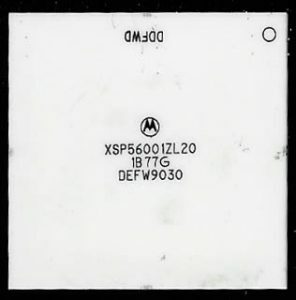 Motorola XC6801L – Early White ceramic package from early 1979. XC denotes a not fully qualified part. 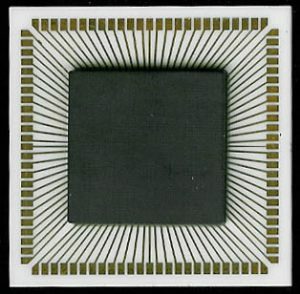 A microcontroller (or microcomputer) is a CPU, with additional on-board peripherals, usually containing RAM, ROM, and I/O as to serve as a single (or close to single) chip solution for a computer system. As the program space is typically small, they were designed and used for high volume, low cost, simple applications. Today we would refer to them as embedded applications. The Motorola MC6800, released in 1974 was a decent 8-bit processor. It was however not inexpensive (a fact not lost upon one of its designers, Chuck Peddle, who left to design the 6502). Initial pricing for the MC6800 was $360, dropping to $175 the next year. 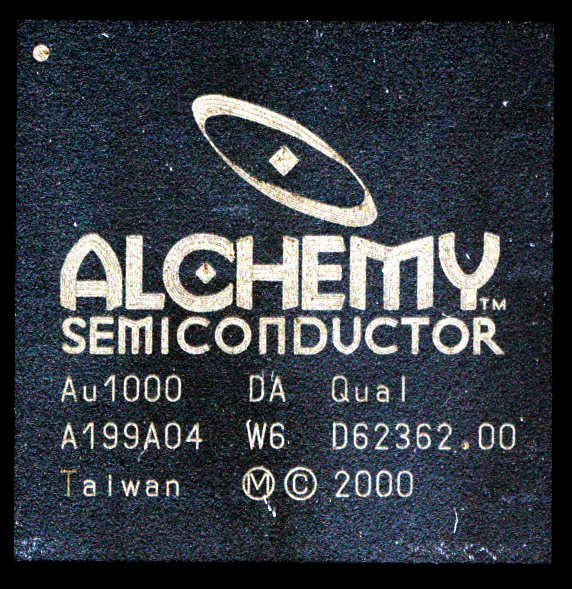 For embedded use, prices needs to be in the few dollars range, with as little chips as possible required for a design. By 1977 Motorola had a solution, the MC6802. This MC6802 was an enhanced MC6800 64-bytes of RAM and an on-board clock-generator. 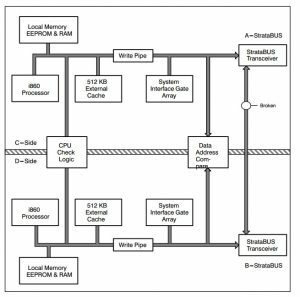 When combined with the MC6846 (which provided ROM, I/O and Timers) a complete system could be built. Defective MC6802s were often sold as RAM-less MC6808s. Motorola MC6802L – Dated March of 1978. The 6802 had 64-bytes of RAM and no ROM. 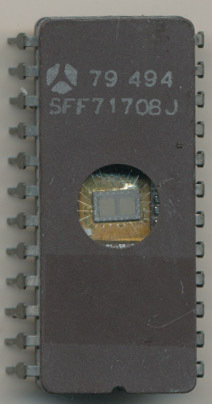 The MC6802 was followed by the more complex MC6801, which integrates the features of the MC6846 on die, as well as increasing the RAM to 128-bytes, making a true 8-bit single chip microcomputer. Most sources refer to the MC6801 being released in 1978, however it was actually released in 1977, likely at the same time, or similar as the MC6802. US Patent Application US4156867 filed on September 9th of 1977 references both processors. GM was to be the lead customer for the MC6801, it was the MCU of choice for the digital trip meter (TripMaster) of the 1978 Cadillac Seville. The 1978 Seville began production on September 29, 1977 on a 5.1um NMOS process. 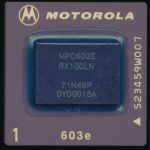 It is likely that all of the first production of the 6801 was reserved for GM, and it wasn’t until 1978 and later that Motorola began to market it (it begins to show up in Motorola marketing only in 1979). In 1979 the MC6801 also switched to a 3.9um HMOS process, which likely increased yields and decreased costs. The TripMaster was a $920 factory option that proved to be rather unpopular, likely due to it adding nearly $1000 in cost to a $14,000 car. This lack of early availability, coupled with the fact that while capable, the 35,000 transistor 6801 wasn’t particularly inexpensive led it to have very little success in the market. 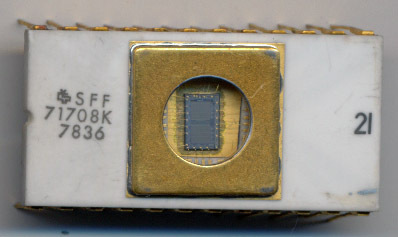 The EPROM version, the MC68701 infact is much more common, likely due to the fact that it was used in lower volume products, where cost wasn’t such an issue. In 1979 Motorola attempted to remedy this by releasing the MC6805 series. This was designed from the ground up to be low cost. 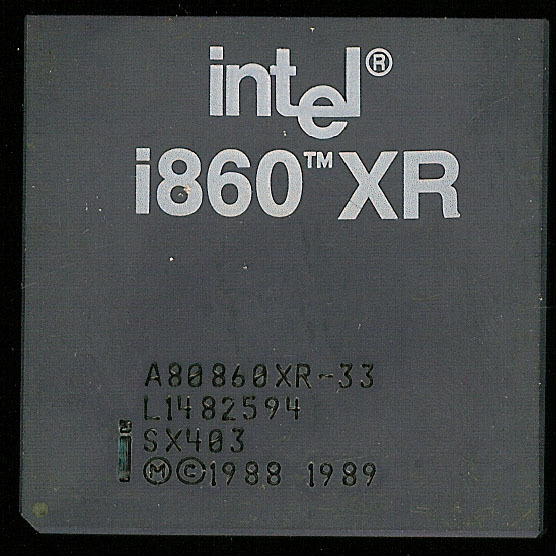 The first versions had half the ROM and half the RAM as the 6801, while keeping the I/O. They were also available in CMOS (as the MC146805). They were inexpensive, and highly functional, and were widely used. The 6805 continues to see use today as the 68HC05 and 68HC08 series. The MC6801 was not, however, done. By this time manufacturing had improved, allowing costs to be lower. 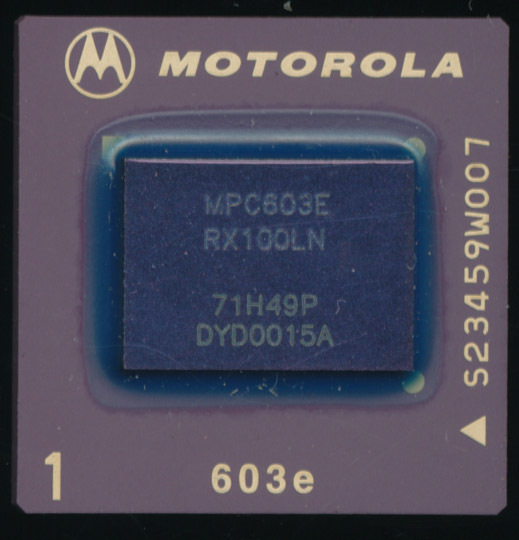 Motorola released an upgraded 6801, the MC6801U4 which expanded the timer functions, increased the ROM to 4K, and increased the RAM to 192-bytes. 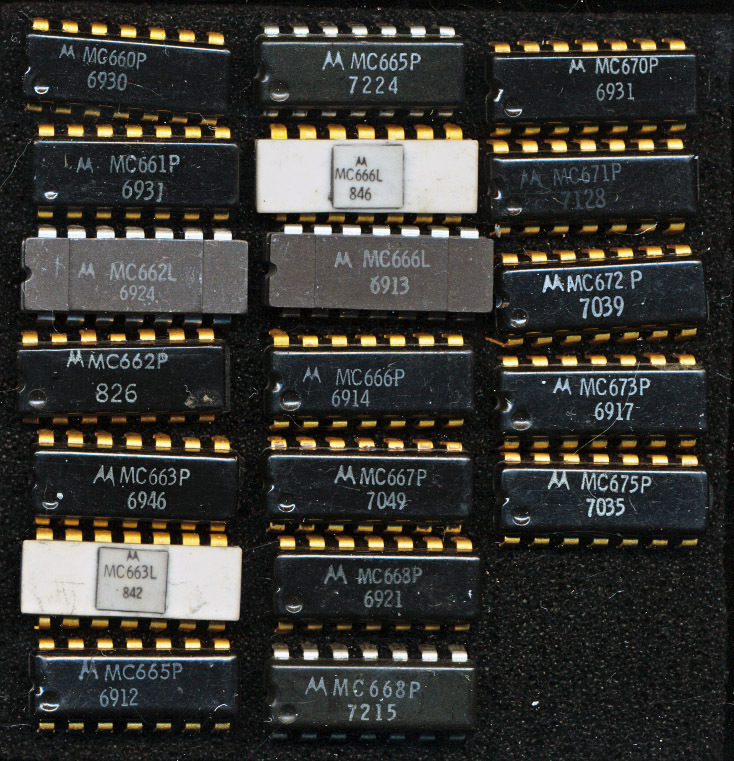 In 1985 the MC6801 was upgraded again, a second 16-bit index register was added, as well as true bit-manipulation instructions. The Motorola MC68HC11, the name change reflecting the greatly enhanced core, was made in many varieties with different sizes of RAM, ROM, and EEPROM. 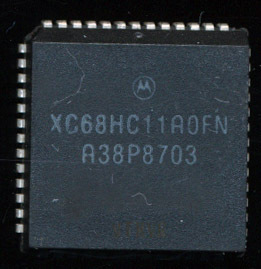 The MC68HC11A8 was also the first MCU to integrate EEPROM on die, in this case, 512 bytes worth. 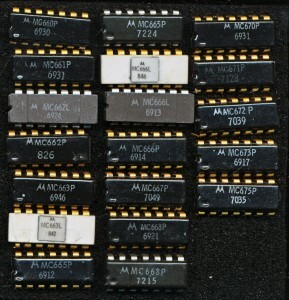 The MC68HC11 series, and its 68HC12 and 16 successors, continue to be made, and used today, ironically, frequently in automotive applications, where the original MC6801 failed to be a success. 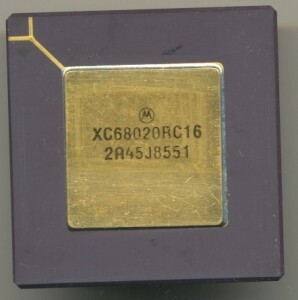 1985 production 68020 ‘XC’ denotes a not fully qualified device. In 1979 Motorola wow’d the world with the introduction of the MC68000 MACSS (Motorola Advanced Computer System on Silicon). One of the first single chip 32-bit processors. In 1982 the design was upgraded and revised, and released as the 68010. Performance wasn’t that much better then the original 68k so it saw much smaller adoption. In 1984 Motorola continued the 68k line with the 68020. Speed was greatly improved, up to 33MHz. 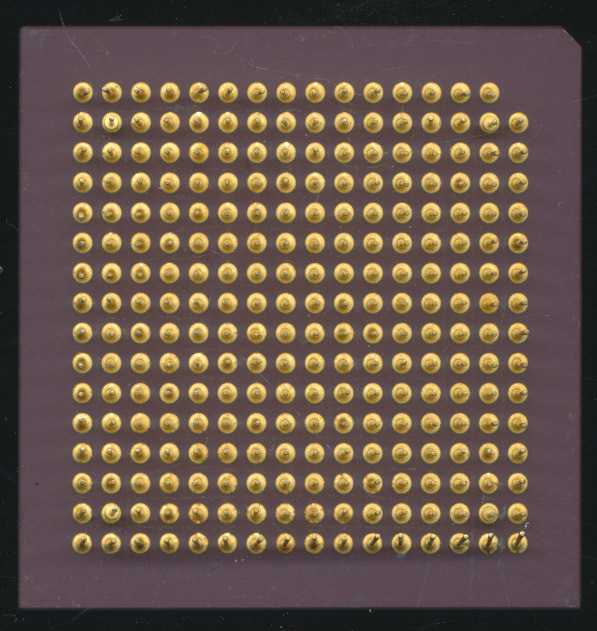 It was originally made on a 2 micron HCMOS process, allowing the design to use 200,000 transistors and integrate additional addressing modes, co-processor support, and multi-processor support. The Swedish Computer archeology blog Ehliar has a nice article and die shots on its architecture and design. Check it out. 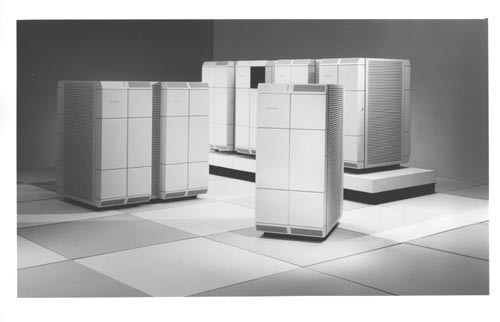 One of the classic stories of the 1970’s microprocessor boom times was that of MOS Technologies at WESCON (Western Electronics Show and Convention) on September 16th 1975 in San Francisco. MOS Technology was a newcomer to microprocessors. They had with them two brand new processor design, the MCS6501 and the MCS6502 which they hoped to sell on the floor at Wescon, for $20 and $25 each. However Wescon forbid sales on the convention floor, so quick thinking by MOS Technologies Chuck Peddle directed people to a hotel room, where “the beer was free and chips were $25.” In the room were jars of 6501 and 6502 processors, to give them impression that these were in full production. In reality the bottoms of the jars were filled with defective parts. It was no matter, the 6500 series was a huge hit, led largely by its availability, low price and marketing to everyone (not just ‘big corporate users’). The 6500, and specifically the 6501 have an interesting story leading up to that fateful day at WESCON. Motorola XC6800B – July 1975 – Pre-production part, not something MOS bothered with. It begins at Motorola, where Chuck Peddle, Bill Mensch and several others were employed in the early 1970’s design the MC6800 processor and its peripherals. The 6800 was not a bad design, it was however, very expensive, a development board for it costing over $300. Chuck worked largely as the 6800 system architect, ensuring all the ICs worked well together and were what was needed to meet customers needs. He attended many calls to potential clients and noted that many were turned off by one thing, price. With that in mind he sought out to build a lower cost version of the 6800 using some of the newer processes available (specifically depletion mode NMOS vs the enhancement mode of the 6800). Motorola management wouldn’t hear it, they wanted nothing to do with a lower cost processor available to the masses. And with that, Chuck, Bill and over half the 6800 team left.